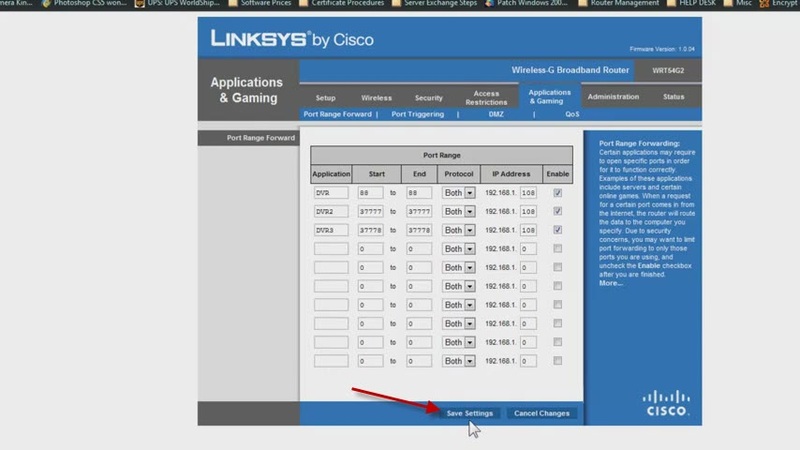 Then you need to forward the ports, meaning you need to open some ports for your DVR to be accessible from anywhere around the world. And you have two options. 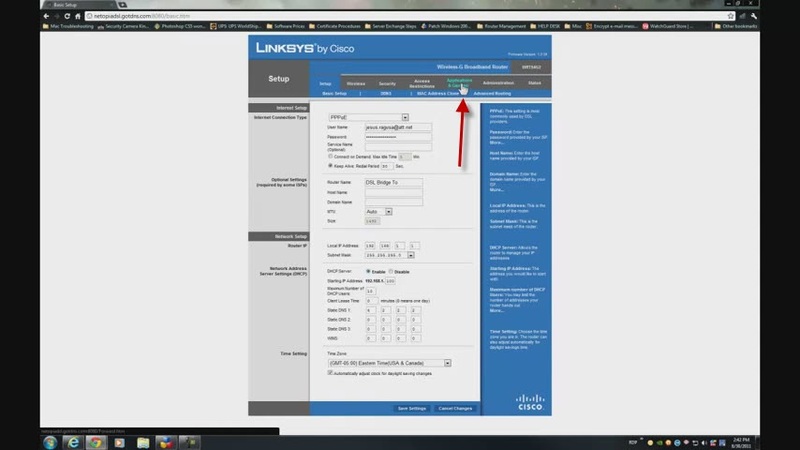 If you have your Internet Service Provider (ISP) router and you have a Linksys Internet router you are going to be able to do this using DMZ. If you don’t the configurations are going to be slightly different. 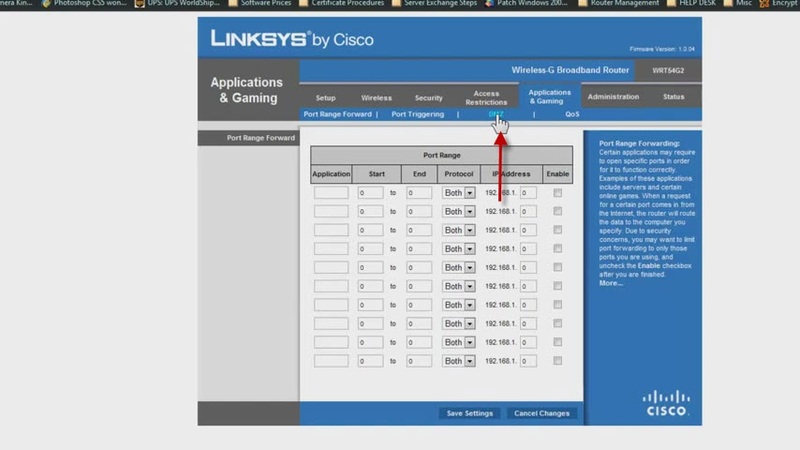 In this scenario I have my IP router and my wireless Linksys router. 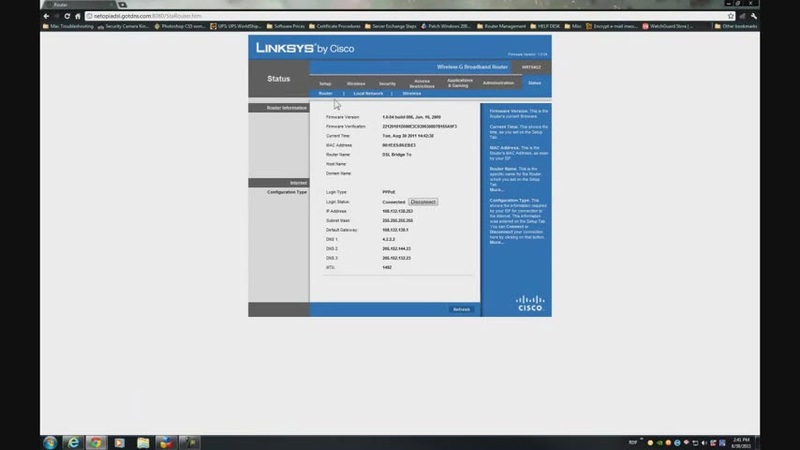 First you’re going to have to go to “Status” and confirm your IP. For example if you get an IP like this under Internet, if you get an IP like 108 or 57.74.3.55 you pretty much have the scenario I described before. and put the IP of the DVR our IP is 192.168.1.108, then you click “Save” and your done. 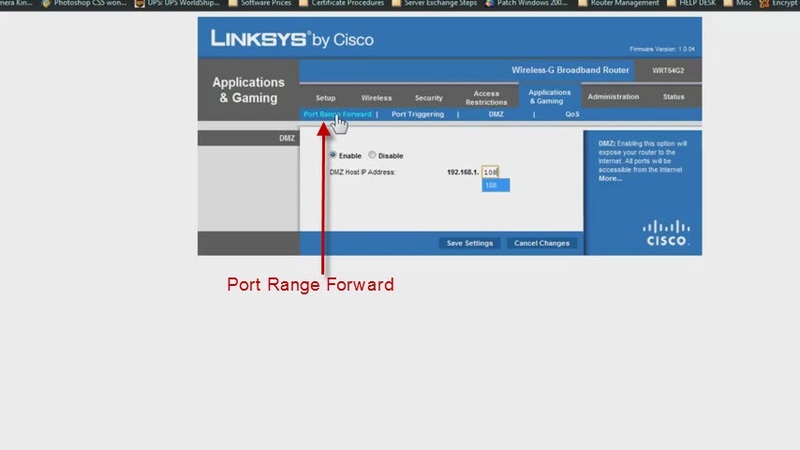 All of the ports will be forwarded without any other configuration. You’re going to have to add 3 rules. 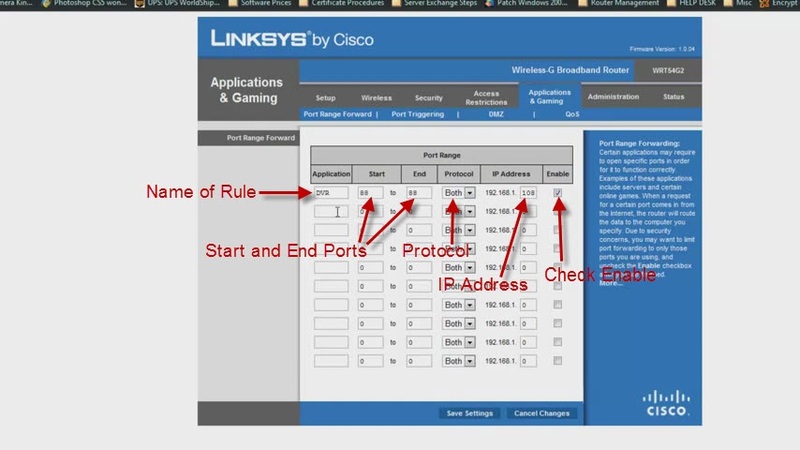 So the first rule, you can name it what ever you want, its going to be your port http://80 we recommend that you change it to 88 so once you change it on your DVR you’ll need to put it as a “Start Port” and an “End Port.” The protocol will be “Both” and here you put the IP of the DVR and “Enable” the rule. 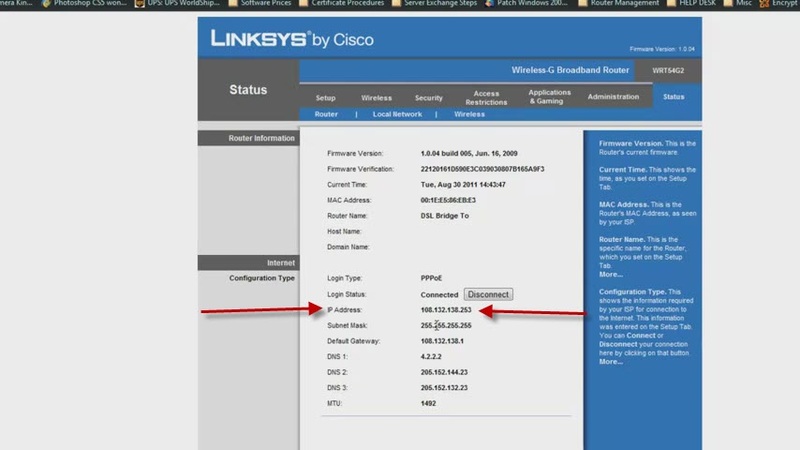 The second port is going to be 37777 as a “Start Port” and an “End port,” again “Protocol” will be “Both” and again the IP of the DVR, and enable it. 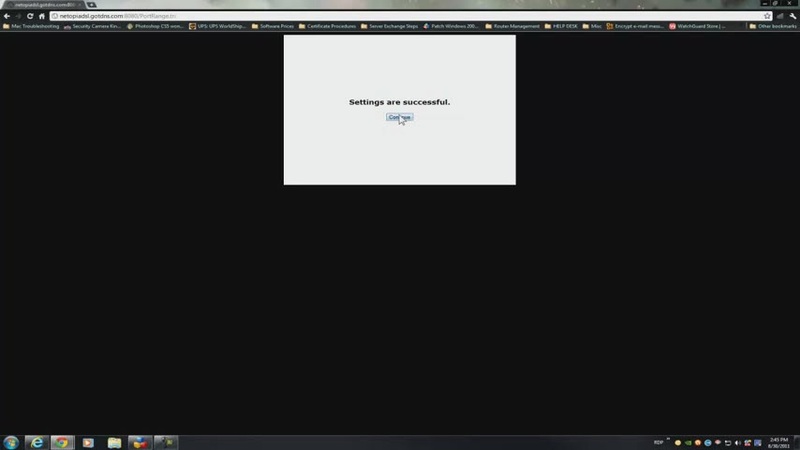 Click continue and you’re all set. I hope this has been informative for you and I would like to thank you for viewing.